Fingerstyle guitar is when guitar players play without a guitar pick, and only with their fingers. Beginner guitarists may learn fingerstyle guitar by simply practicing without a pick. There are a number of fingerstyle techniques and Travis picking is one of the most common. Travis picking is when the guitar player strikes the bass notes on the low E string and the D string with their thumb and then plays the treble strings with their other fingers. Alternating bass notes is very important and a key characteristic when it comes playing this type of fingerstyle guitar. We’ll refer to our fingers a number of times in this post so let’s go over which fingers are which. Now let’s go over the strings. You may simplify the Travis picking technique if you’re not comfortable with alternating bass notes. 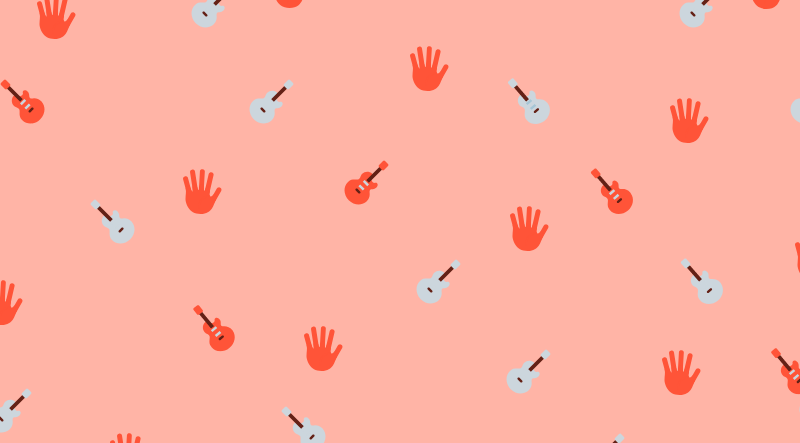 In our Acoustic Fingerpicking for Beginners lesson, Instructor Lisa McCormick offers a ‘Four-Step Pattern’ for fingerpicking. In the ‘Four-Step Pattern,’ you use your thumb to play the 6th string with a downstroke, then your 2nd finger to play the 1st string with an upstroke, your thumb to play the 3rd string with a downstroke, and then your 1st finger to play the 2nd string with an upstroke. You can take this pattern and then apply it to the D major open chord. Give it a try. For reference, here is what a D major looks like in the open position. 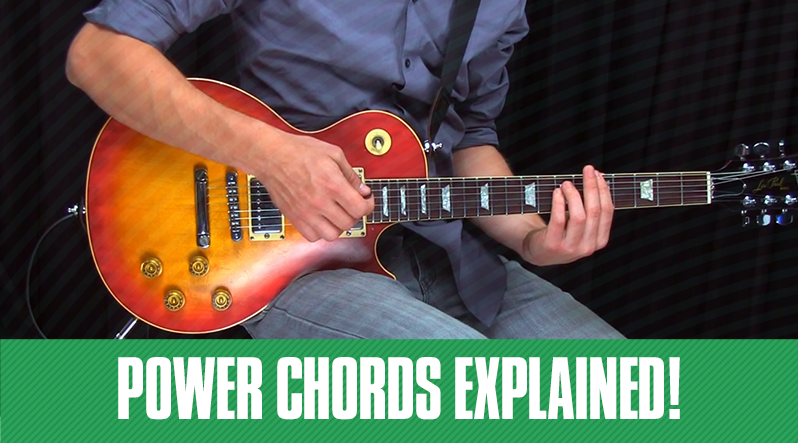 Try and add another chord to the pattern, and get get used to picking in that order. You must also try and not use other fingers to play a string it’s not supposed to. Fingerstyle guitar is all about keeping your picking fingers consistent. If you aren’t strict about the fingers you’re using, the music can sound really strange and off. 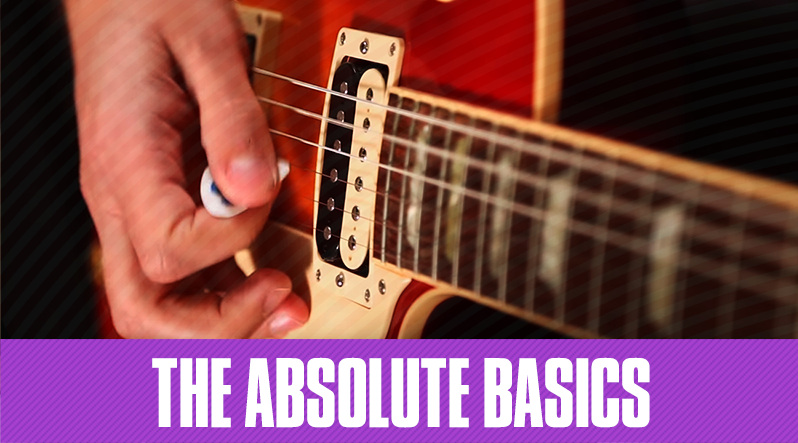 For beginners, fingerstyle guitar may feel a little weird since you’re plucking the strings directly with your digits. Some guitar players like to use finger picks, which are like small rings that go on your finger that also acts as a pick. Beside fingerpicks, some guitar players also use thumb picks, which are the same thing as finger picks but they go on your thumb. Finger and thumb picks aren’t super necessary for you to play this way, if anything, you have to make sure you can keep the finger picking pattern down and consistent. 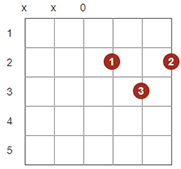 For more lessons on fingerstyle guitar for beginners, check out our acoustic lessons. Give it a shot, you’re going to have a ton of fun!